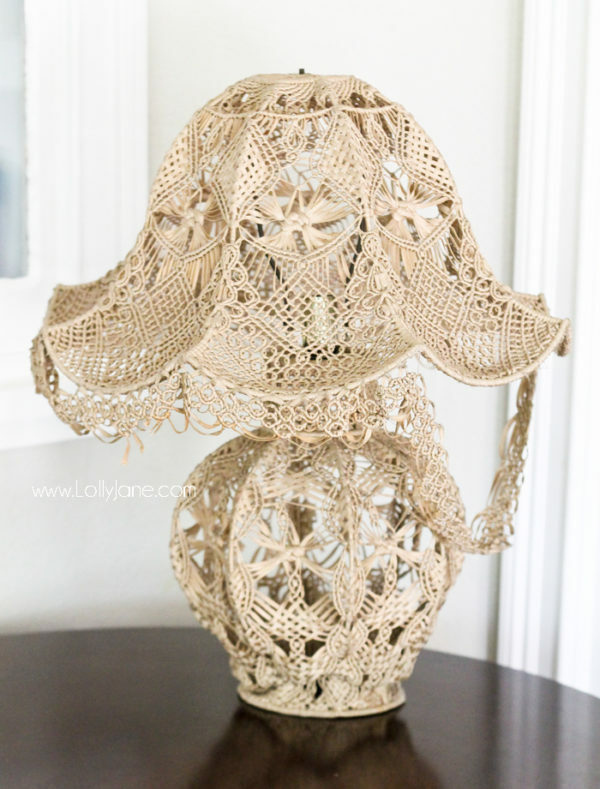 Besides missing the original finial, it has frayed macrame everywhere (props to the artist who tied all those decorative knots!) and pieces on the shade are falling apart. It is definitely time to give this piece new life! 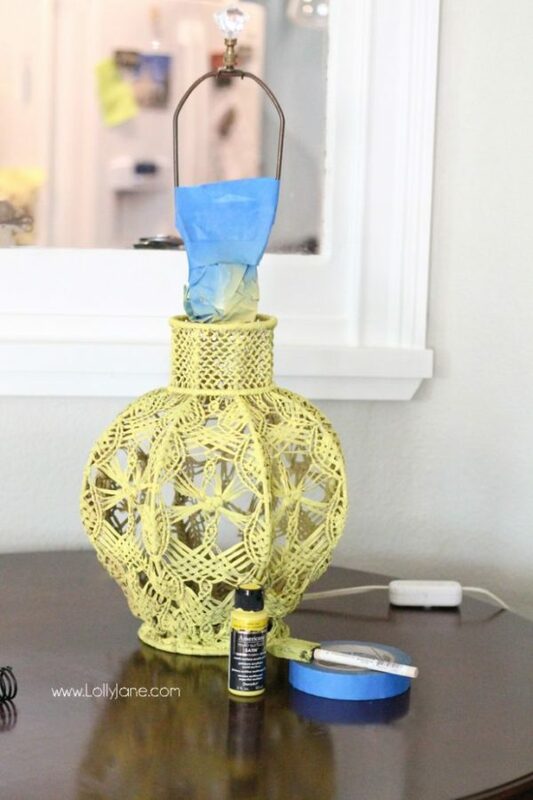 Start by separating the shade from the base, then tape off where you don’t want paint to touch. 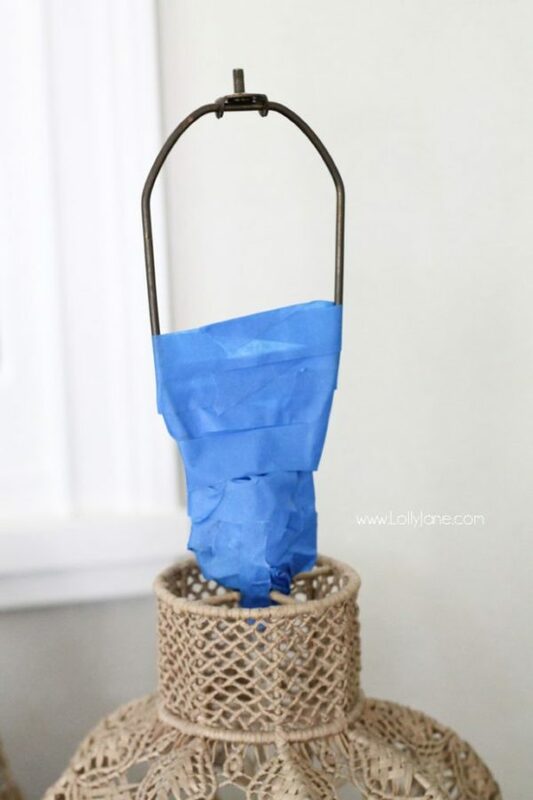 While the paint is drying, take some scissors and cut away allll those knots that look like they took forever to do on the lamp shade. 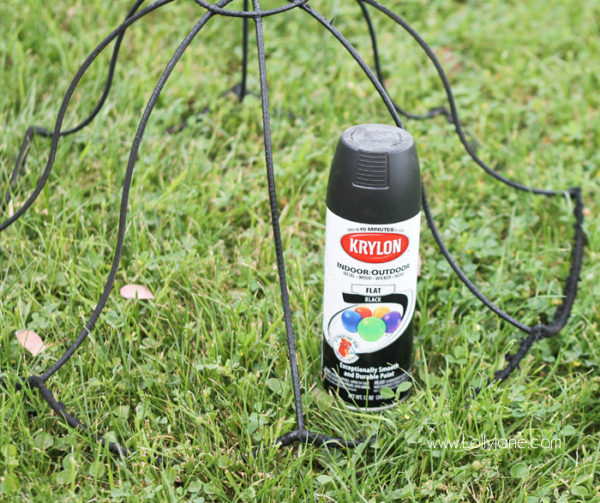 We spray painted the shade in Krylon’s flat black. …and with the black shade. 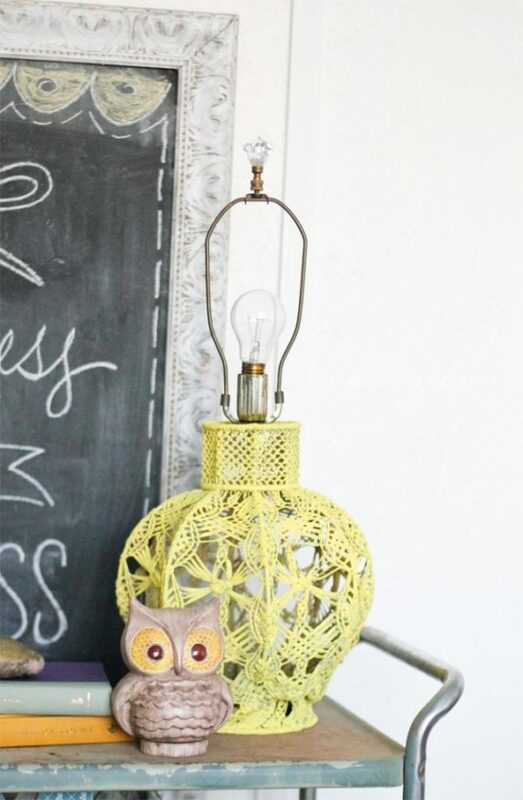 We are loving the exposed lamp shade/industrial vibe trending with lamps right now! 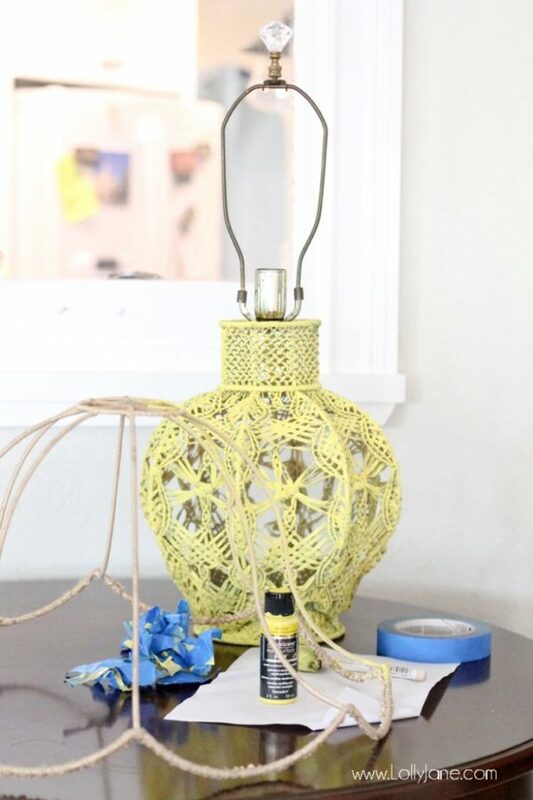 This is Kelli’s favorite look for this lamp but I personally love a little drum shade action! 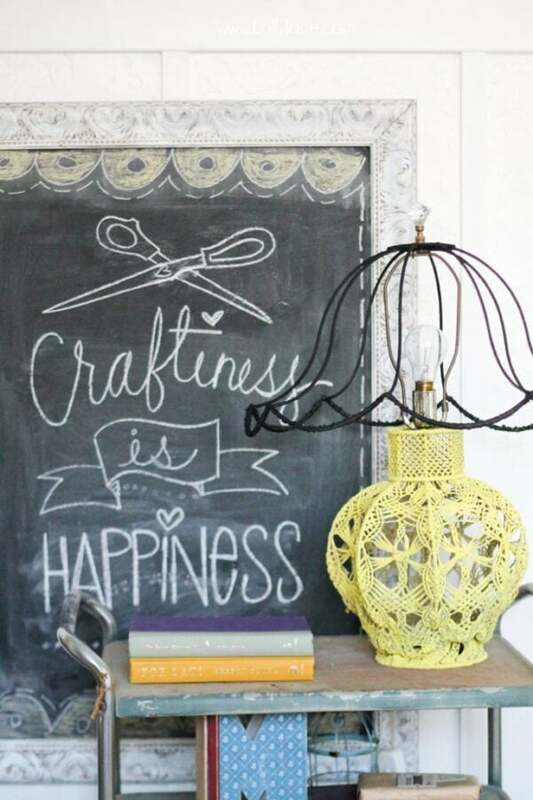 Take a peek at more of our furniture & decor revamps and follow along with us for more thrifty finds!